The Duke of Cambridge affixes the ring to the Black Rod; the Black Rod of British Columbia is a ceremonial staff created in 2012 to celebrate the Diamond Jubilee of Her Majesty Queen Elizabeth II, Queen of Canada. It is used on formal occasions when the monarch or her provincial representative, the Lieutenant Governor, is present in the Legislative Assembly of British Columbia. 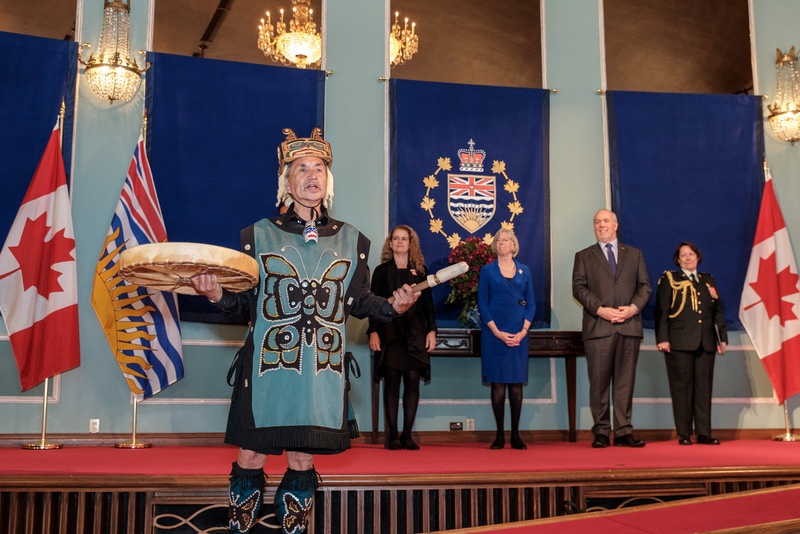 The relationship between the Crown and Indigenous peoples of British Columbia is ever-evolving and has become an important focus of the Lieutenant Governor. Under the role of the Crown and Indigenous Peoples, the Lieutenant Governor honours Indigenous traditions and heritage, including elements such as ceremonial protocol and territorial acknowledgements, and promotes the vibrant and diverse cultures of the First Nations, Inuit and Métis of British Columbia to the rest of Canada and on an international level. The Lieutenant Governor supports a dialogue of reconciliation and respect, and participates in events and promotion of public awareness of this ongoing journey. 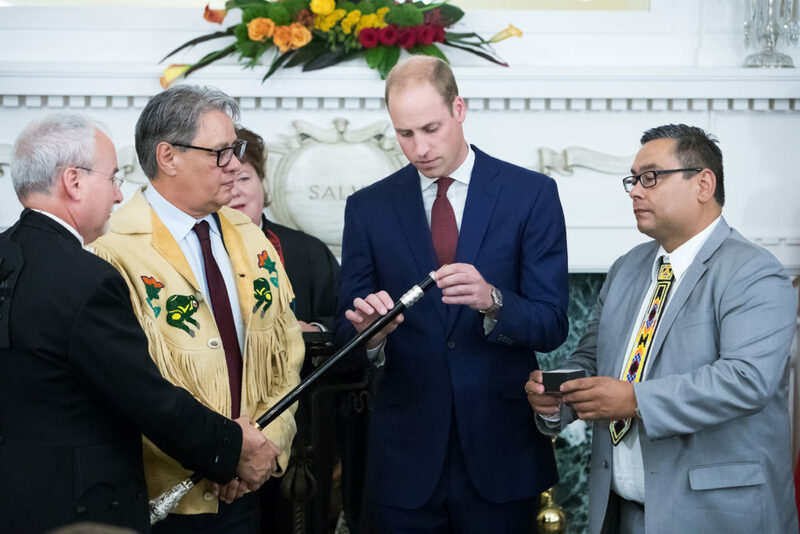 In 2016, in the presence of First Nations leaders, the Governor General, the Lieutenant Governor, the Premier and other dignitaries, His Royal Highness The Duke of Cambridge affixed the Ring of Reconciliation to British Columbia’s Black Rod in a ceremony at Government House. The Ring of Reconciliation symbolizes a step toward reconciliation of all cultures in British Columbia. It is inscribed with Lets’e Mot, meaning “One mind” in the Halq’eméylem language. Two eagle feathers separate the words from an etching of the canoe Shxwtitostel, a gift from former Lieutenant Governor Steven Point to the people of British Columbia. The Ring of Reconciliation is the fourth and final ring on the Black Rod. George Taylor of the Le-La-La Dancers, a traditional Kwakwaka’wakw First Nation dance company from Northern Vancouver Island, performs a welcome song at Government House.